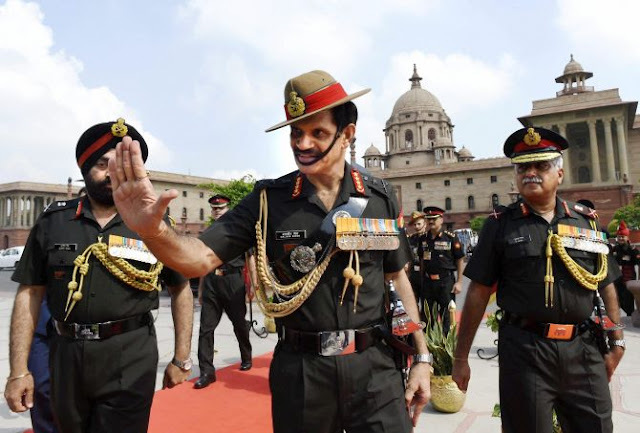 The Chief of Army Staff (COAS), Gen Dalbir Singh, is embarking on a four day goodwill visit to USA from 05 to 08 Apr 2016. The visit assumes special significance in light of enhanced defence cooperation between the two countries. The visit is a part of the ongoing High Level Exchanges between India & USA. India-U.S. ties have been transformed in recent years with a renewed Defence Framework Agreement, supply of defence equipment, sharing of technology and military-to-military exchanges. During his four days visit, the COAS is scheduled to meet the UNSG at the UN HQ to strengthen Indian Army’s commitment towards UN Missions. He will also visit CENTCOM, SOCOM & HQ 1 Corps & Maneuver Centre of Excellence (MCoE) where he will meet the Commanders & have extensive discussions. In Washington he will meet US Secretary of Army, Chairman Jt Chiefs of Staff, Chief of Staff of the US Army & Commander US Marine Corps, along with other officials.